Overview Course entry Course details What Next? Thanks for clicking this option. We're testing interest in this function for possible future enhancements to our website. This double degree is designed to enable students to develop critical thinking, creativity, initiative and business acumen to success in in today's rapidly changing society. It is designed to enable students to succeed in business in today's rapidly changing society and will broaden their understanding of themselves, their community and the larger world. This challenging educational program leads to a degree which is internationally recognised in the global marketplace. Study on one of our world-class campuses. This course is not offered as an online study option. This course is not offered for study on-campus to international students with a student visa. This course is not offered to international students studying online in their home country. It's how we learned from QILT that we're Australia's top-ranked public university for undergraduate teaching quality and skills development. 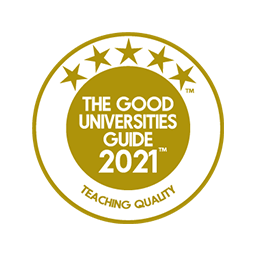 We also learned from the Good Universities Guide that graduates have rated our teaching quality 5 stars for 12 years in a row. 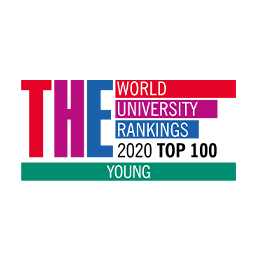 And it's how we know that we're one of the best young universities in the world under 50 years old. So the real question is, why not choose ECU? Admission requirements you'll need to meet for this course. One or more of the majors in this course has admission requirements. Refer to the major for more information. For domestic students, requirements include English competency. For international students, your secondary school results and English competency are included. An overview of majors, core units and electives you can study in this course. Apply an international perspective and a global outlook to industry. Apply creative thinking and innovation to generate and evaluate complex ideas and provide sustainable solutions to contemporary challenges. Collaborate in team project settings to produce measurable outcomes and evaluate team processes. Demonstrate cross-cultural awareness, including Indigenous cultural competence in a range of professional contexts. Obtain, analyse, interpret and communicate information using trans literacy skills, including technology, information literacy and numeracy proficiency. Reflect on and evaluate personal practices and performance feedback to identify opportunities for learning in the context of employment and life. Students are required to complete: 16 Arts units, comprising of 8 Core Arts units and an 8-unit Arts Major; plus 16 Commerce units, comprising of 7 Core Commerce units, and an 8-unit Commerce Major and one elective unit. Students who wish to take the Accounting major (11 unit major) in this double degree will need to consult the Student Hub to ensure the additional units required for accreditation fit within the course. Students attend the Mount Lawley Campus for the Arts component and the Joondalup Campus for the Commerce component. capabilities required to succeed in their chosen profession, and gain a better understanding of the nature of employment and professional conduct in their chosen industry. The work placement program comprises 100 hours of work experience during the academic semester. Programs can be completed in all discipline areas, as well as general business opportunities. A police clearance may be required in some circumstances. Opportunities and career options after you finish this course. This double degree provides students with lifelong transferable skills, equipping them for employment in a wide range of professions. Attending an ECU prospective student event is a great way to help you decide what to study. Join your tour guide and check out the facilities on-campus and in some of our schools. Chat to Associate Professor Dave Brooks about ECU’s Counter Terrorism, Security and Intelligence courses, flexible study options and your career goals. Learn about our mid-year 2019 intake, including courses and entry pathways. Other courses or double degrees related to this subject area. Single degree comprising one half of the double degree. Students who are unable to complete the requirements of the Double Degree may be able to exit with a Bachelor of Commerce, provided they have completed sufficient units to do so. If you need it, here’s a quick explanation of common uni terminology. For more detailed unit information for this course take a look at our Handbook. To organise your life for next semester visit the Semester timetable. Look around our fantastic facilities with your mobile device, desktop or compatible VR headset. If you've come this far and have a question or two, please contact us.